Chinese President Xi Jinping’s state visit to the Philippines from Tuesday to Wednesday has caught international attention. 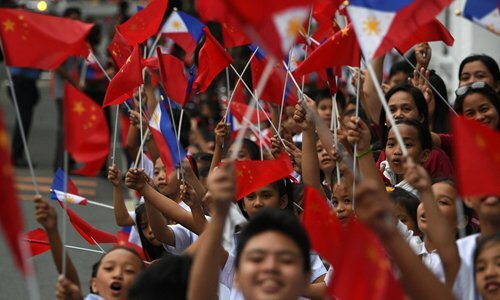 China-Philippines relations have been one of the most vacillating connections among China and its neighboring countries. During the rule of Benigno Aquino III, bilateral relations were at a low ebb due to frictions over the South China Sea. Incumbent President Rodrigo Duterte changed the Philippines’ diplomatic course and brought ties with China back to the right track. Last year, China surpassed Japan and became the largest trading partner of the Philippines. The two are conducting negotiations over the possible joint exploration of oil and gas in the disputed waters. 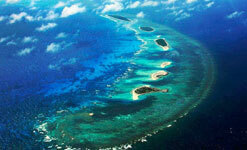 If they reach an agreement, it could serve as an exemplary model for South China Sea claimant countries. However, not everybody is happy to see Beijing and Manila set aside disputes and develop friendly ties. Besides obstruction from pro-US factions within the Philippines, some US and Western forces do not want to see rapprochement between China and the Philippines and even pressure the Duterte government to cut relations. Recently, some Western media claimed that most of the assistance and investment that China promised to the Philippines was never fulfilled. Such tone maliciously aims to drive a wedge between Beijing and Manila. In recent years, China has been advancing its Belt and Road initiative in Southeast Asia and has no reason to skip the Philippines when seeking investment and cooperation. In fact, relevant departments of the two countries have been working to push forward the implementation of cooperation projects. The West has been accusing China’s Belt and Road initiative of locking some countries into a debt trap. However, when it comes to the Philippines, the West criticized China for not fulfilling its promises. Behind such hypocritical words lie the West’s deep-seated prejudice and hostility against China. When the US strategically targets China, it is difficult for the Philippines – geographically adjacent to China while closely watched by the US – to keep independent strategic thinking and remain firm-minded. But independent thinking and strong political determination are essential for every country. When Duterte first thought about mending ties with Beijing, independent thinking prompted Manila to face the question: What advantages can the country gain from enmity with China, if any? Will the Philippines benefit from it or will it be exploited by external forces? The whole region should keep alert to whom will benefit from confrontation among South China Sea stakeholders. As one of the US’ allies in Southeast Asia, the Philippines will always be a tool of the West to instigate provocations in the waters. After twists and turns, Philippine society will form its own judgment. Many Philippine elite might have thought that their country and the entirety of Southeast Asia could rely only on the US and the West before China’s rise, yet most regional countries did not achieve modernization. China offers more options for the Philippines, and because of China’s rise, the Philippines and Southeast Asia have gained more attention. Compared with the Aquino era, the Philippines under Duterte has acquired more strategic initiatives without becoming overly dependent on other countries. China-Philippines friendly cooperation has changed the strategic position of the Philippines and brought about a new pattern for its development. It is expected that Xi’s visit will accelerate bilateral cooperation. The decision was announced after visiting Chinese President Xi Jinping’s meeting with Philippine President Rodrigo Duterte on Tuesday in Manila, the Xinhua News Agency reported. Chinese experts stressed that the visit is a milestone event in the development of bilateral relations and the two countries will pursue greater cooperation under the framework of the China-proposed Belt and Road initiative (BRI) in the coming years. As friendly neighbors across the sea, China and the Philippines enjoy geographic proximity and a strong bond that links the two peoples and cultures, Xi said, Xinhua reported on Tuesday. Since Duterte took office, China and the Philippines have reopened the door of friendship and cooperation to each other, bringing real benefits to the two peoples and making important contributions to regional peace, stability and prosperity, Xi noted. Xi’s visit will largely promote bilateral relations as the visit shows that China values friendly relations with the Philippines, Gu Xiaosong, a research fellow on Southeast Asian studies at the Guangxi Academy of Social Sciences, told the Global Times on Tuesday. “It is a milestone event in the development of bilateral relations,” Gu remarked. Improved China-Philippines relations will also play an important role in maintaining the stability of the South China Sea, experts noted. “If China and the Philippines can reach an agreement on the exploration and development of oil and gas resources in the South China Sea, it will be a breakthrough in economic cooperation in the region and will largely promote the safety of the Asia-Pacific,” Gu said. The prospects for economic and trade relations between the two countries are very bright as Philippine priorities are aligned with the key directions for industrial capacity cooperation under BRI, in sectors such as infrastructure, construction and building materials, chemicals and manufacturing, Penaranda said. Gu agrees, saying that bilateral economic and trade ties will be further enhanced to a higher level, and the two countries will pursue more cooperation under the BRI. As a developing country with more than 100 million people, the Philippines needs to improve its infrastructure and enhance the growth of its industrial enterprises, Gu noted. “We need to better understand the opportunities for bilateral cooperation through increased engagements by enterprises,” Penaranda said, noting that it is important that the frequent reciprocal visits of officials and business delegations continue. Experts said China is committed to advancing the development with other countries and the Belt and Road initiative will bring greater growth to other developing countries and promote the economic integration of the Asia-Pacific region. The two countries have conducted broad cooperation in transportation infrastructure and industrial parks and energy, and China is the Philippines’ largest trading partner. Trade between China and the Philippines increased 8.5 percent year-on-year to $51.28 billion, according to information released by China’s Ministry of Commerce (MOFCOM) on Thursday. As of the end of September, China’s investment in the Philippines was $1.25 billion and the Philippines’ investment in the Chinese market reached $3.33 billion, according to the MOFCOM. Experts said cultural and educational exchanges between the two countries also see a huge potential. The hospitality toward Chinese people is easily felt among the Philippine public. The Chinese and Philippine flags were placed along Roxas Boulevard in Manila a week ago. Many Chinese who live and study in Manila waited along the boulevard on Tuesday to welcome Xi. “We’re so excited that President Xi has come to Manila. We hope the two countries could strengthen cultural exchanges in the future,” Kui Jiangong, a PhD candidate from China who studies at Adamson University in Manila, told the Global Times on Tuesday. The overseas Chinese were the unsung heroes of the region, having helped to build South East Asia to what it is today, said Malaysian tycoon Robert Kuok (pic). He said that it was the Chinese immigrants who tackled difficult task such as planting and tapping rubber, opening up tin mines, and ran small retail shops which eventually created a new economy around them. “It was the Chinese who helped build up Southeast Asia. The Indians also played a big role, but the Chinese were the dominant force in helping to build the economy. “They came very hungry and eager as immigrants, often barefooted and wearing only singlets and trousers. They would do any work available, as an honest income meant they could have food and shelter. “I will concede that if they are totally penniless, they will do almost anything to get their first seed capital. But once they have some capital, they try very hard to rise above their past and advance their reputations as totally moral, ethical businessmen,” Kuok said based on excerpts of his memoir reported in the South China Morning Post . 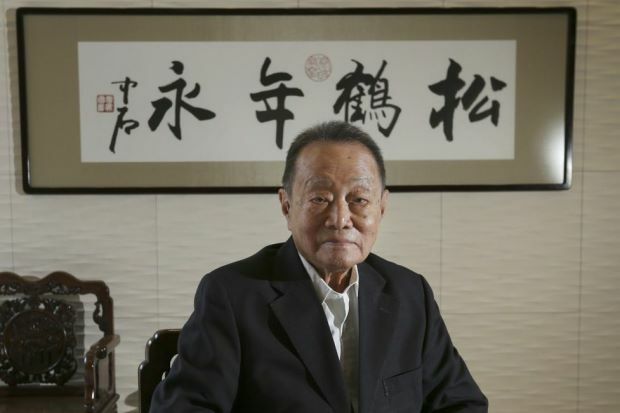 “Robert Kuok, A Memoir’ is set to be released in Malaysia on Dec 1. Kuok said the Chinese immigrants were willing to work harder than anyone else and were willing to “eat bitterness”, hence, were the most amazing economic ants on earth. In the extracted memoir published by the South China Morning Post, Kuok, pointed out that if there were any businesses to be done on earth, one can be sure that a Chinese will be there. “They will know whom to see, what to order, how best to save, how to make money. They don’t need expensive equipment or the trappings of office; they just deliver. “I can tell you that Chinese businessmen compare notes every waking moment of their lives. There are no true weekends or holidays for them. That’s how they work. Every moment, they are listening, and they have skilfully developed in their own minds – each and every one of them – mental sieves to filter out rubbish and let through valuable information. “Good Chinese business management is second to none; the very best of Chinese management is without compare. I haven’t seen others come near to it in my 70-year career,” he said. 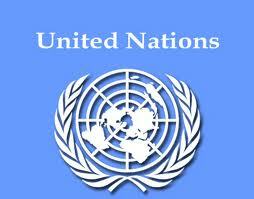 “They flourish without the national, political and financial sponsorship or backing of their host countries. In Southeast Asia, the Chinese are often maltreated and looked down upon. Whether you go to Malaysia, Sumatra or Java, the locals call you Cina – pronounced Chee-na – in a derogatory way,” he said. He added that the Chinese had no “fairy godmothers” financial backers. “Yet, despite facing these odds, the overseas Chinese, through hard work, endeavour and business shrewdness, are able to produce profits of a type that no other ethnic group operating in the same environment could produce,” he said. Kuok ultimately attributed the Chinese survivability in Southeast Asia to its cultural strength. “They knew what was right and what was wrong. Even the most uneducated Chinese, through family education, upbringing and social environment, understands the ingredients and consequences of behaviour such as refinement, humility, understatement, coarseness, bragging and arrogance,” he said. In the debut instalment of six extracts from the first-ever memoir of Malaysian tycoon Robert Kuok, reproduced exclusively here, he recalls how ..
Best 25+ Robert kuok ideas on Pinterest | Yachts and yachting, Luxury ..
Robert Kuok’s Daughter: “My Friends Had More Pocket Money Than..
For the love of mother and brother – So Aunty, So What? Will China’s rise shape Malaysian Chinese comm unity? Philippine President Rodrigo Duterte surprised the Western world recently by threatening to “separate from the UN,” and saying he would invite China and African countries to form a new international body. Duterte’s threat came in response to the UN’s criticism of his anti-drug war that has seen more than 700 suspected drug traffickers shot dead on the spot by the military and police. Philippine society is severely afflicted by drugs. Statistics show there are over 3.7 million drug addicts in the country, and drug dealers have formed a secure business network in collaboration with corrupt authorities. Duterte has publicly allowed military police officers to fire at will if necessary, and he has even encouraged vigilantes to kill defiant drug traffickers. Duterte’s new policy has won him great popularity and more than 600,000 drug traffickers and addicts turned themselves in half a month. However, the harshness of the anti-drug war has annoyed many Western media and human rights groups, which keep blaming Duterte for violating the rule of law and human rights. Duterte’s lash-out against the UN also featured criticism of the US. “Why are you Americans killing the black people there, shooting them down when they are already on the ground?” he asked. He also blamed the UN for not doing enough to deal with the human rights crises that are happening in Iraq and Syria and allowing big powers to bomb villagers and children. Duterte’s outspokenness makes him stick out among US allies. He was even dubbed the Philippines’ Donald Trump before he was elected. His big mouth has raised concerns among the US and Japan particularly, which do not know whether he just talks, or he will walk the talk. The Philippines’ biggest value for the US and Japan is its territorial disputes with China in the South China Sea. Washington and Tokyo hope Duterte could remain aggressive like his predecessor Benigno Aquino III and continue serving as a bridgehead for their geopolitical game against China, but Duterte does not find this role tempting. He knows that the US and Japan will benefit in the South China Sea tensions, not the Philippines. Duterte does not want his energy to be heavily consumed by the long-standing territorial disputes, but wants to put more effort into domestic governance. His first action is to eliminate the most disturbing problem of drugs. However, even though his radical move has gained popularity among the Filipinos, it is against the Western-branded universal value of human rights. If the anti-drug war continues to expand in the future, pressures from the US and the rest of the Western world will rise dramatically, and the Philippine-US relationship will also be victimized and become bumpy. will not be too naïve to believe that a new president will bring a …. 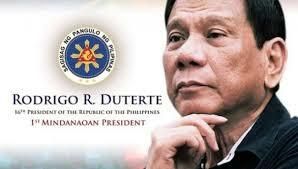 The Philippines will have a new president this year, and Benigno …. Although some countries offer financial incentives to its athletes, a genuine sporting culture may be the best guarantee of success at the Games. SHOCK and awe just about sums up the stunning achievement of young Singaporean swimmer Joseph Schooling at the Rio Olympics. His victory is classic David beating Goliath; he was the underdog from a tiny country that had never won an Olympic gold. What made it all the sweeter and remarkable is that Schooling beat the mightiest, most decorated Olympian in history – American Michael Phelps who has won 23 gold medals – and set an impressive new record of 50.39 secs for the 100m butterfly event. When news of Singapore’s first gold medal broke, it quickly overtook other stories emanating from Rio and became the talk of the world. It eclipsed its Asean neighbours’ own Olympic gold successes: Vietnam’s shooter Hoang Xuan Vinh in the 10m air pistol competition and Thailand’s weightlifters Sopita Tanasan and Sukanya Srisurat in their individual weight classes and certainly overshadowed Malaysian diving duo Pandelela Rinong and Cheong Jun Hoong’s silver in the women’s synchronised 10m platform diving. All are no small feats but there is a total of 28 sports in the Games, not counting those with multiple disciplines, and the most popular ones for a global audience are gymnastics, track and field and swimming, according to topendsports.com. Among Asian nations competing in the Games, China and Japan are traditionally strong contenders in gymnastics and swimming although the Chinese gymnasts seem to be doing poorly this time around. For most other Asian competitors, the sports they excel in tend to be the ones with less mass appeal like archery, shooting, judo, badminton and for some strange reason, women’s weightlifting. Apart from the Thais, Taiwanese, Filipina and Indonesian female weightlifters have also won medals for their countries. China remains the sporting powerhouse of Asia, sending its largest delegation of 416 athletes to Rio this year, but they have failed to defend their gold medals in sports they used to dominate like badminton and diving. As for the glamorous track and field events, there doesn’t seem to be any Asian athlete who can challenge the likes of Usain Bolt. Meanwhile, the other Asian powerhouse, India, with the second largest population in the world, has never done well at the Olympics, which has been the subject of intense debate among Indian and foreign sports pundits. India also sent its biggest ever contingent of 118 sportsmen and women, and has so far won only a bronze medal in wrestling. Winning an Olympic gold medal is the Holy Grail of sports. The pomp that surrounds the Games gives the gold medallists unparalleled honour and prestige. And the nations they represent go into collective convulsions of ecstasy and nationalistic joy, which make their governments equally happy. That’s why many nations pour millions into sports programmes to nurture and train promising talents and offer great financial rewards to successful Olympians. Schooling will get S$1mil (RM3mil) from the Singapore government for his gold medal. Vietnam’s Hoang reportedly will receive US$100,000 (RM400,000), a figure, according to AFP, that is nearly 50 times greater than the country’s average national income, of around US$2,100 (RM8,400). 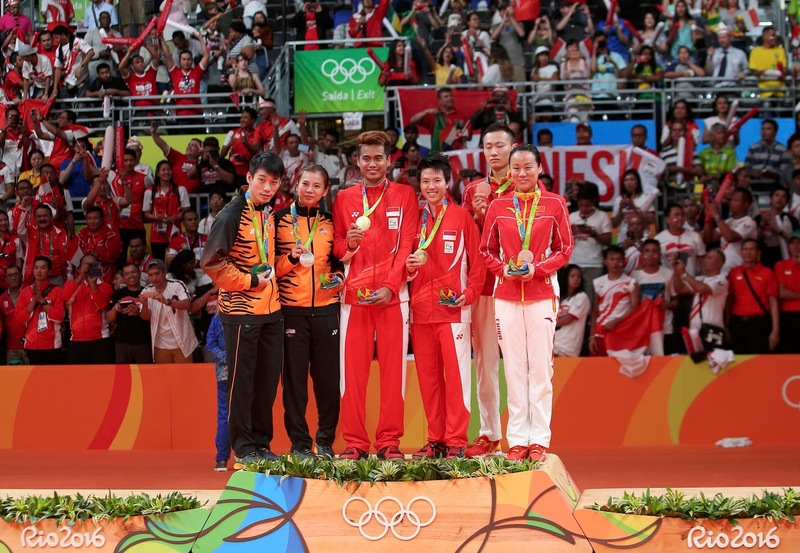 Malaysia, which is seeing its best ever performance in Rio, thanks to its badminton players and divers, rewards its successful athletes handsomely under its National Sports Council incentive scheme. An Olympic gold medal winner will receive RM1mil and a monthly pension of RM5,000; a silver medallist, RM600,000 and a RM3,000 pension while a bronze winner gets RM100,000 and a RM2,000 pension. Taiwan, India, Indonesia, the Philippines, South Korea and Thailand have similar monetary reward schemes. North Korea uses a carrot and stick scheme: huge rewards for medal winners and hard labour for the failed ones. Several western countries have the same financial bait, including the United States, France, Russia and Germany, but at a lower rate. The researchers found no correlation between monetary payments and medals and said it was not surprising in some countries. In the United States, for example, a US$25,000 (RM100,000) cash award would be dwarfed by million-dollar endorsements the athlete could get. The researchers also set out to see if the results were different for countries with lower opportunities for endorsements. 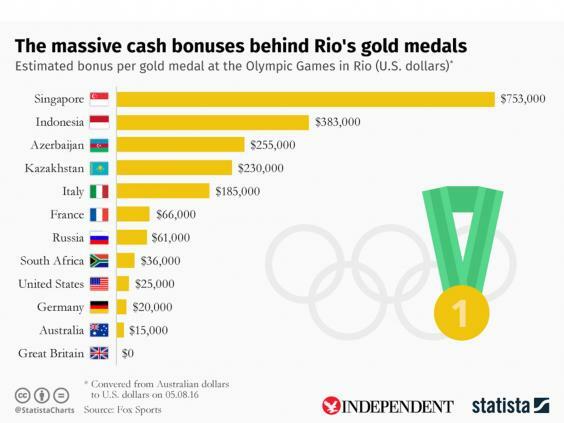 Their conclusion: “overall the evidence suggests that these payments don’t increase the medal count” either. Rather, countries that do well are those with a longstanding sporting culture that values and nurtures their athletes long before they qualify for the Olympics. That is evident in Western societies where sportsmen, even at the college level, are feted and idolised. In Asia, however, the emphasis is more on book-learning and earning prestigious degrees. The BBC quotes Indian Olympic Association head Narayana Ramachandran as saying India’s sorry performance is more than just a shortage of cash or organisation. “Sport has always taken a back seat vis-á-vis education. Most Indian families would prefer their children became dentists or accountants than Olympians,” he says. But that attitude is surely changing as more Asian sportsmen and women go professional and are able to make a good living. In Malaysia, its most popular sportsman, badminton star Datuk Lee Chong Wei, is highly successful with a number of endorsements under his belt. 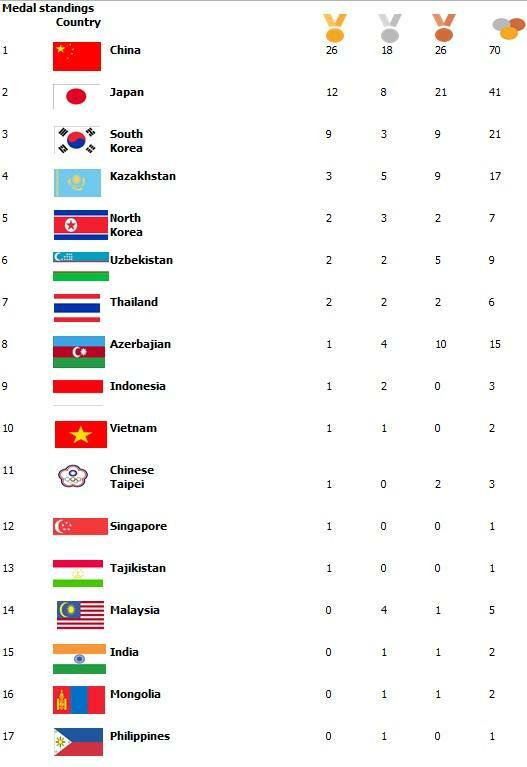 For now, it is still the Western countries that dominate the Olympic medal tally table. But it’s only a matter of time before more Asian nations, once no-hopers at the Games, rise up the charts. It’s already started. The Rio Games will go down in history as a watershed for Asean, with two member states – Singapore and Vietnam – winning their first gold medals. May it be so for Malaysia, too. By June H.L Wong Chief Operating Officer (Content Development) The Star, Malaysia. The writer was the former group chief editor of The Star Media Group Malaysia. 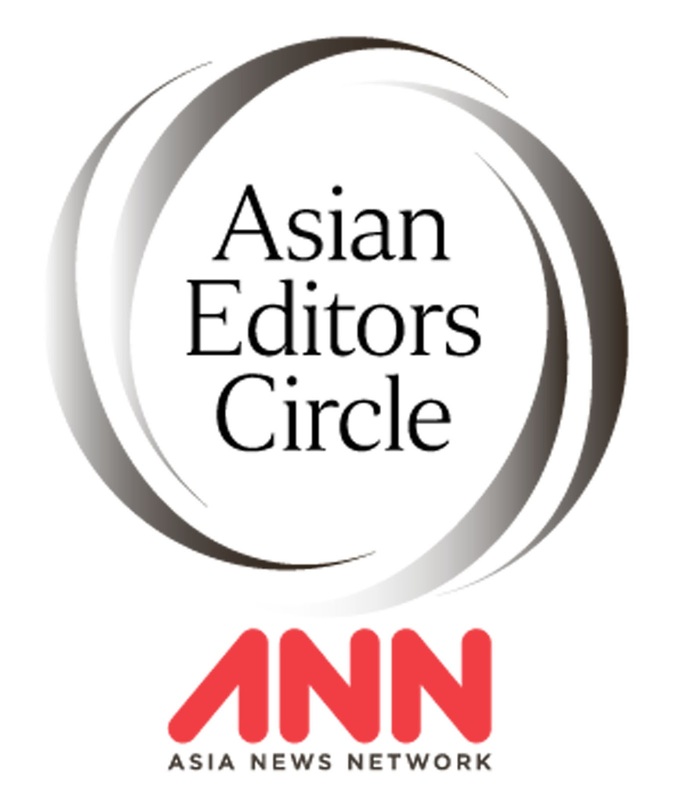 This is the eighth article in a series of columns on global affairs written by top editors from members of the Asia News Network and published in newspapers across the region. RIO DE JANEIRO: Lee Chong Wei, the king of Malaysian badminton, will leave the Rio de Janeiro Olympics without the crown – and so will Malaysia without the coveted gold. The 33-year-old lost his third Olympic final after going down 18-21, 18-21 to Chen Long at the Riocentro Pavilion 4 on Saturday. It was indeed a painful end for Malaysia as it was the third false dawn. Earlier, Malaysia had also lost in the men’s doubles and mixed doubles finals. Malaysia thus will return home with a total of four silvers and one bronze. The other three silvers came from Chan Peng Soon-Goh Liu Ying (mixed doubles), Goh V Shem-Tan Wee Kiong (men’s doubles) and divers Pandelela Rinong-Cheong Jun Hoong (women’s 10m platform synchro). Cyclist Azizulhasni Awang contributed the sole bronze through the men’s keirin. Both Chong Wei, playing in probably his last Olympics, and Chen Long went onto the court to loud cheers from their countries’ supporters. Chong Wei, who lost to Lin Dan at the 2008 Beijing and 2012 London finals, looked tentative in the beginning to allow Chen Long to open up a 4-0 lead. But he recovered his composure to lead 5-4. After that, they traded point until it was 7-7 before Chong Wei pulled away for an 11-7 and then 14-10 lead. But Chen Long refused to go away and managed to level at 14-14. Twice Chong Wei surged in front but Chen Long capitalised on the Malaysian’s mistakes at the net to lead 20-17. Although world No. 1 Chong Wei managed to save one match point, his failure to return a smash gave Chen Long a 21-18 win in 35 minutes. Oozing confidence, Chen Long was always in front in the second game – leading 4-1 and 5-2. But Chong Wei fought back to go 8-5 up. Chen Long then went on a smashing spree, winning six points for an 11-8 advantage. The 27-year-old world No. 2 never looked back after that as he always had at least a three-point lead. Everything looked lost for Chong Wei as Chen Long reached 20-16. The Malaysian saved two match points but then sent the shuttle out to lose 18-21 in 38 minutes. For Chen Long, it was his first Olympic gold to add to his two All-England and World Championships crowns. 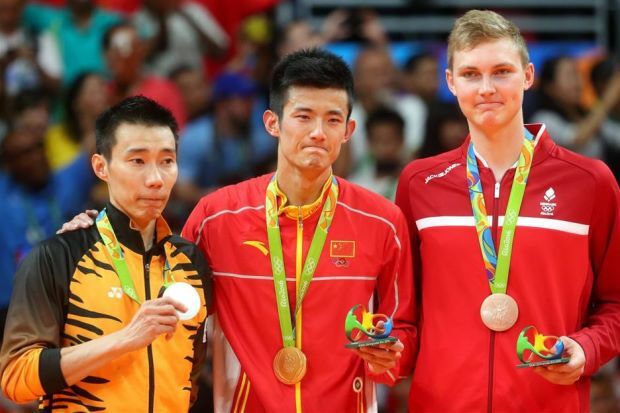 Chong Wei can only look in envy as he’s still without a world or Olympic crown. He also lost in three World Championships finals. Chen Long’s gold was only China’s second at these Games after Fu Haifeng-Zhang Nan triumphed in the men’s doubles. Earlier, two-time Olympic champion Lin Dan fell from grace in probably his last Olympic outing after losing 21-15, 10-21, 17-21 to Dane Viktor Axelson in the 70-minute bronze medal playoff. Singapore’s first Olympic gold medal, dreams do come true ! Malaysia’s Datuk Lee Chong Wei vs China’s Lin Dan; what difference for winner/loser? 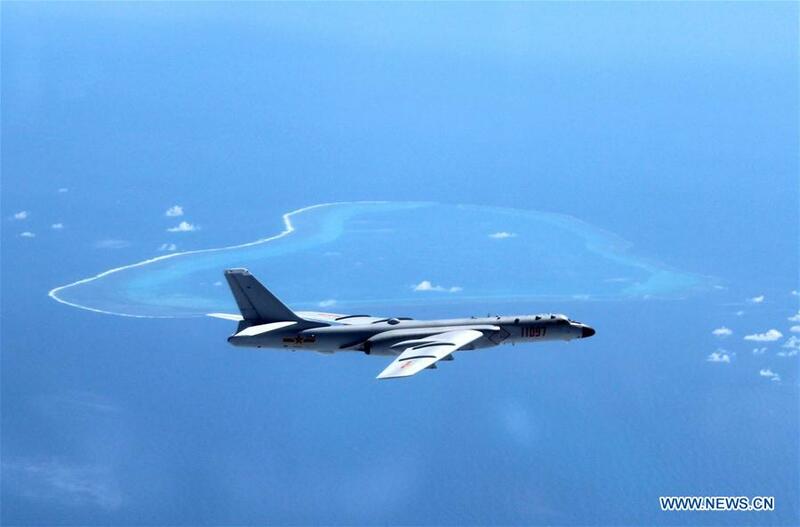 The People’s Liberation Army (PLA) Air Force conducted a combat air patrol in the South China Sea recently, which will become a “regular” practice in the future, said a military spokesperson on Monday. During the mission, the aircraft carried out tasks including aerial scouting, air combat and island and reef patrol, fulfilling the patrol’s objective, Shen said. “To effectively fulfill its mission, the air force will continue to conduct combat patrols on a regular basis in the South China Sea,” he said. Shen pointed out that the South China Sea Islands have been China’s territory since ancient times, and China’s rights and interests in relevant maritime areas should not be infringed upon. “The PLA Air Force will firmly defend national sovereignty, security and maritime interests, safeguard regional peace and stability, and cope with various threats and challenges,” he said. Wu made the remarks on Monday while meeting with his U.S. counterpart Admiral John Richardson and his delegation to discuss maritime security. Describing the current security situation in waters around China as “complicated and sensitive” and noting the escalating South China Sea issue, Wu said Richardson’s visit will be beneficial for the two countries to strengthen communication, promote trust, resolve doubts and avoid misjudgments. “We will never sacrifice our sovereignty and interests in the South China Sea,” Wu said, stressing that it is China’s “core interest” and concerns the foundation of the Party’s governance, the country’s security and stability and the Chinese nation’s basic interests. Wu said that China will not recede over territorial sovereignty or fear any military provocation, which the Chinese navy is fully prepared to cope with. “We will never stop our construction on the Nansha Islands halfway… the Nansha Islands are China’s inherent territory, and our necessary construction on the islands is reasonable, justified and lawful,” Wu said. He stressed that “no matter what country or person applies pressure,” China will push forward and complete island construction as planned. According to Wu, China will never be caught off guard, and the number of its defense facilities is completely determined by the number of threats it faces. 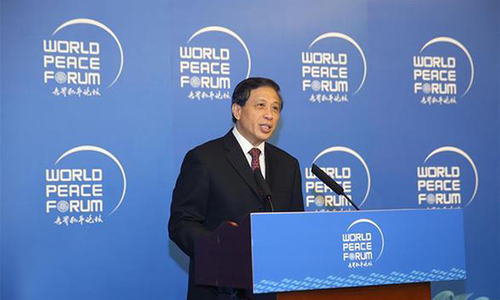 Wu expressed his hope that the two countries’ air and maritime forces fully follow the Code for Unplanned Encounters at Sea and the Rules of Behavior for the Safety of Air and Maritime Encounters to avoid strategic misjudgment or exchange of fire, and to jointly ensure the peace and stability of the South China Sea. Wu called on the two sides to promote strategic mutual trust, seek common ground, expand the scope of cooperation and create new momentum for China and the United States to develop a new type of major-power relations between the two countries. Richardson, amid tensions in the South China Sea. SINGAPORE, July 18 (Xinhua) — The so-called South China Sea arbitration award will not hamper cooperation between China and the members of the Association of Southeast Asian Nations (ASEAN), experts said here on Monday. The ad hoc arbitral tribunal in the South China Sea arbitration, set up at the unilateral request of the former Philippine government, last Tuesday issued an ill-founded award sweepingly sided with Manila, denying China’s long-standing historic rights in the South China Sea. China has also reaffirmed that it will continue to endeavor to peacefully resolve disputes in the South China Sea with parties directly concerned through negotiation and consultation on the basis of respecting historical facts and in accordance with international law. Nearly one week after the so-called award was rendered, more than 20 experts on international law and foreign relations from academic institutes in China and Southeast Asian countries including Thailand, Cambodia and Malaysia convened here Monday for the Think Tank Seminar on South China Sea and Regional Cooperation and Development, which was organized by the Institute of Chinese Borderland Studies, Chinese Academy of Social Sciences. In a keynote speech at the seminar, Zhao Qizheng, former minister of China’s State Council Information Office, reiterated that the ad hoc arbitral tribunal has no jurisdiction over the case. Zhao’s remarks were echoed by attendees, who also agreed with Zhao that the disputes can only be settled through dialogue and by deepening China-ASEAN ties. Kong Lingjie, vice dean of China Institute of Boundary and Ocean Studies, China’s Wuhan University, criticized the so-called arbitration, branding it as “a bold interpretation and ambitious development of article 123(1) of the United Nations Convention on the Law of the Sea (UNCLOS). “The most absurd ruling was on the Taiping Island’s status as a rock,” said Kong, adding that the ruling would deny most of the Nansha Islands’ rights to exclusive economic zones. Experts at the seminar also voiced support for the notion of bringing concerned parties involved in the South China Sea issue back to the negotiating table. Zheng Yongnian, director of the East Asian Institute, National University of Singapore, said he believes that China and the Philippines should start the dialogue process to solve the dispute. “It is not true that a great power has been bullying small countries,” Zheng said, noting that certain countries in the region kowtow too much to the United States. Zheng suggested that China and other concerned parties over the South China Sea issue could firstly initiate cooperation in maritime rescue efforts, fishery and protection of maritime resources. At the one-day seminar, experts, in addition, all agreed that the arbitration would not impede the cooperation process between China and the ASEAN countries. Li Guoqiang, deputy director of the Institute of Chinese Borderland Studies, told Xinhua in an exclusive interview on the sidelines of the seminar that there lies a huge potential for the development of China-ASEAN ties. “With the strategic opportunity produced by China’s 21st Century Maritime Silk Road initiative, the two sides are planning to upgrade their free trade agreement,” Li said. Zhao Qizheng, meanwhile, underscored the fact that China became ASEAN’s biggest trade partner in 2009. He said that despite the difficulties, including territorial disputes, the intervention of countries outside the region and the not well-established cooperation mechanism, the communication and cooperation between China and the ASEAN members has never ceased and has brought great benefits to all countries. “It is beyond doubt that maintaining regional peace and stability, and keeping the momentum of cooperation and development is in the best interest of all,” Zhao said. 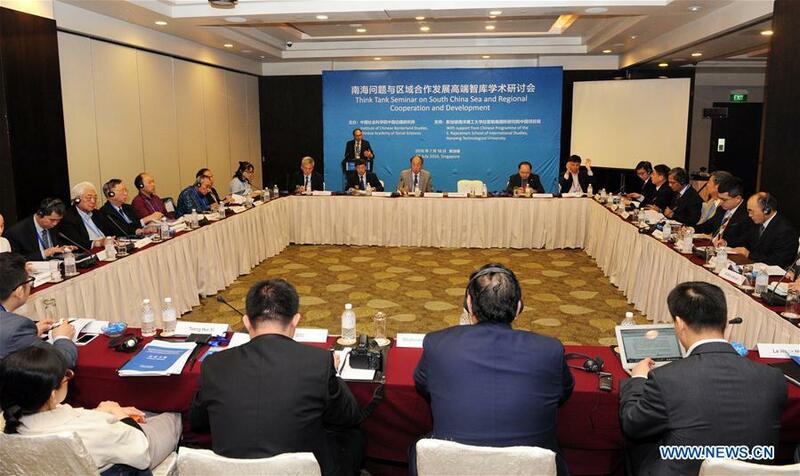 Nearly 30 legal and political experts from China and Southeast Asian countries have compared notes on the South China Sea arbitration case at a think-tank seminar in Singapore. SINGAPORE, July 18 (Xinhua) — The biased award rendered by an arbitral tribunal in the South China Sea arbitration has no binding force as the ad hoc tribunal violated international law principles and standards, an expert said here on Monday. Sienho Yee, chief expert at the Institute of Boundary and Ocean Studies of Wuhan University, said the arbitral tribunal adopted an excessively expansive interpretation of the jurisdictional grant, played a game of words, and distorted the text of the United Nations Convention on the Law of the Sea (UNCLOS). The wrongful exercise by the tribunal did a substantial damage to the international rule of law, he said, adding that it had failed to consider and respect the limitations imposed by UNCLOS and China’s intents and purposes in invoking its explicit right under the convention to exclude disputes concerning maritime delimitation and historic titles. “It is manifestly clear that the tribunal abuses its power and as a result the award is null and avoid,” he told Xinhua during a think tank seminar on South China Sea and regional cooperation and development. Yee also pointed out that the arbitral award was not generally accepted, so they would be with no binding force. “The large number of states supporting China’s positions seems to show that the decisions of the tribunal are not generally acceptable and therefore are without binding force,” he said. The Chinese government said the ad hoc arbitral tribunal established at the unilateral request of the Philippines has no jurisdiction over relevant submissions, and the award rendered by it is null and void with no binding force. The tribunal had exemplified the philosophy of “the end justifies the means” by excessively expansive interpretation of the jurisdictional grant and the sweeping final award, in a bid to exhibit its determination to settle any dispute that may exist in its view, while disregarding any other issues such as respect for the sovereignty of the states involved, said Yee. “The danger of this philosophy to the effectiveness and legitimacy of the international legal system, international rule of law and the world order at large is clear, and we must guard against this danger,” he said. Citing a survey from the Xinhua News Agency, a People’s Daily article has unmasked Shunji Yanai as a manipulator behind the null South China Sea arbitration. Published on Monday, the article names Yanai, a Japanese diplomat and former president of the International Tribunal for the Law of the Sea (ITLOS), played a key role in the case. 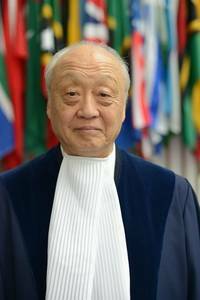 He appointed four of the five-member arbitral tribunal on the South China Sea case, the fifth appointed by the Philippines. Yanai appointed the four members because China did not agree to the arbitration. Rightist, hawkish, pro-American, unfriendly to China…these are the labels people often associate with Yanai, the article said. His closeness to Japanese Prime Minister Shinzo Abe is also no secret. Such an academic and political background also speaks for his political inclination during his tenure in the ITLOS. Coming from a diplomatic family, Yanai entered the Japanese Foreign Ministry upon graduation in 1961, where he was involved in sensitive projects related to the Diaoyu Islands and the Japan-US security alliance. But in 2001, he left the Foreign Ministry along with three other officials amid a series of embezzlement scandals within the ministry. However Yanai, on recommendation of Japan despite his tainted record, became a judge of the ITLOS in 2005 and president of the organization from 2011 to 2014. After the Philippines unilaterally initiated the arbitration case against China in 2013, a five-member arbitral tribunal was created by Yanai, the then president of the ITLOS. The Basic Principles on the Independence of the Judiciary, adopted by the UN to better maintain justice, stipulated that the extra-judicial activities conducted by the judges and arbitrators should not contradict their work or impede the judicial process. However, Yanai also served as a mastermind of the Japanese government on military actions and security policies when he worked for the ITLOS. With close ties to Abe, Yunai served as chairman of an expert panel advising the prime minister on security laws. In May 2014, his panel presented a report to Abe, advising to revise the country’s constitution and lift the ban on Japan sending its military overseas. As a result, Japan, in 2015, ended its 70 years of pacifism by enacting controversial security laws that allow for Japan to dispatch troops overseas to engage in armed conflict. As conflicts between China and Japan over the sovereignty and delimitation of the Diaoyu Islands increased in recent years, Yanai advocated to lift the ban on Japan sending its military overseas and expanding the Japan-US military alliance to gain a military edge. Given the maritime conflicts and historical issues between China and Japan, as well as Yanai’s political leanings, he is not the right person to engage in the South China Sea issue. Also, it is not surprising that Yanai generally chose arbitrators that were biased against China. In addition, the Basic Principles on the Independence of the Judiciary also clarify that in exercising rights, judges shall always conduct themselves in such a manner as to preserve the dignity of their office and the impartiality and independence of the judiciary. However, Yanai has a clear political position as a rightist. During his term on the private panel, he repeatedly told Japanese media that the country has not given up its right to collective self-defense as prescribed in their constitution. In a program by the Japan Broadcasting Corporation, he also asked Japan to resort to the Japan-US Security Treaty for security assurance, claiming that the UN is useless in this regard, thus exposing his double-sided nature. “From the results of the arbitration, people can see that it was conducted by a bunch of people who knew very little about South China Sea issues,” said Motofumi Asai, a former official of the Japanese Foreign Ministry in charge of China affairs and a former colleague of Yanai. “The arbitration was obviously conducted in accordance to the will of the Abe administration,” he said. Philippine media report that the government spent 30 million US dollars on the South China Sea arbitration case over the past three and half years. Neither the Philippines nor the tribunal have given details of that spending. But we can get some idea from published charges and past tribunal fees. Asean Foreign Ministers Meeting July 23~26, last chance for peace in South China Sea? HERE are three significant ironies in the South China Sea arbitration award which have not been picked up in the already voluminous reviews of the ruling in the case between the Philippines and China. If properly plucked, they could form the basis for moving forward in a situation which shows all the potential of turning ugly. Even if the tribunal observed “historic title” can only be claimed over bays and other near-shore waters under UNCLOS, the fact remains China claims historic rights to resources within the ninedash line but not historic title. The negative irony – at least from China’s point of view – is that had Beijing claimed historic title, the case brought to the tribunal by the Philippines in January 2013, which China contends is outside its jurisdiction on so many other grounds, could have been exempted from that jurisdiction under Article 298 of UNCLOS as a dispute concerning “historic title”. Whether or not someone blundered in the Chinese foreign ministry, a reflection on the South China Sea dispute from the time of Deng Xiaoping, when he wisely counselled the issue of sovereignty should be set aside in negotiation to forge collaboration, would show the predisposition, lost in recent years of raw emotion, had always been to work together in the South China Sea. This is a positive irony that could be gleaned by involved parties from last Wednesday’s tribunal award, to move forward. The second noteworthy point that could be positively constructed from the award is the passage on the Second Thomas Shoal in response to the request from the Philippines (the 14th of its 15 submissions) for tribunal adjudication. The tribunal ruled that compulsory settlement is excluded from a dispute where military activities are involved. China has of course been vociferous on the tribunal not having jurisdiction to hear the case brought by the Philippines. But just imagine if China had not asserted that its South China Sea activities, like reclamation and even militarisation, were not peaceful in intent but military in nature to stake its claims. Quite conceivably the tribunal might have ruled it indeed did not have jurisdiction! Be that as it may, China has been consistent about its peaceful intentions. The occasion of the tribunal’s award should be made the point from which to push hard, through negotiation, for peaceful ends. The third irony that could be made to have a positive twist is yet another argument by China on exclusion of the tribunal’s jurisdiction, which was rejected – the Declaration on the Conduct of Parties (DOC) in 2002 between China and Asean. The tribunal rightly found that the DOC was a political, not a legal, document. Therefore its invocation for negotiation does not preclude legal settlement under UNCLOS. Actually, it was China itself (and Malaysia) that did not want the DOC to be legally binding. Instead of talking about the chicken coming home to roost however, might this not be the opportune time to push together – both China and Asean – for the legally binding Code of Conduct (COC) and even make the overarching DOC a legal agreement? The Asean Foreign Minsters Meeting and the Post Ministerial Conference with Dialogue Partners, including China of course, take place in Vientiane on July 23-26. Asean foreign ministries should be working furiously with one another and with China to make something positive happen in Laos. Construct the positives. Avoid the negatives. Drive the meetings in clear direction. Asean, do not be helpless and hopeless. Do not allow anything to happen that is gloating, taunting and flaunting. Make sure words at the meetings like “rebuke”, “chastise” and “outlaw in unequivocal terms” – which have dominated commentaries in the West – are avoided. Ensure there is no attack on anybody, including the tribunal. Show China particularly all Asean is interested to do is to move forward with it on the South China Sea issue in good faith. All this is not easy to achieve. But it is a facet of Asean centrality that is called for more than ever before. As Asean chairs these meetings, the preparation for these outcomes must be pursued vigorously NOW in a truly focused manner. Asean should take the lead. Laos should be given full support in preparing for the meetings. And China should be engaged before the meetings begin. If thorough preparation and discussion do not take place before hand, there is grave danger the meetings will end up in disarray, including – again – the Asean meeting. There is no point trying to come out with an Asean joint statement on the arbitration award at this stage, as there will be no long-distance consensus when one cannot be achieved even when sitting down together. A meaningless joint statement would be just that – meaningless. Malaysia has come out with its own statement, which is fine. The Singapore foreign minister has made a carefully crafted statement in the island republic’s Parliament. The new Philippines government has also been circumspect, showing restraint and responsibility in its hour of “victory”. And will send no less than a former president for talks with China. China had time to expect the ruling. After giving vent to its fury, China should also calm down and work with Asean, as it has always said it would, and has again said it would in the wake of the arbitral award. But which Asean? Asean must form a consensus on how to move forward. Singapore, which represents Asean in relations with China, should take the lead. When Asean foreign ministers failed to come out with that joint statement in 2012, Marty Natalegawa of Indonesia – not a South China Sea claimant state – scrambled a sixpoint agreement with what he called a zero-draft COC. At this time, in this hour of crisis, the need for such leadership has never been greater. It is critical that Asean plays its role if it is not to drop off the horizon. Might the rush to arbitration be nothing more than a US provocation to provide an excuse for military engagement? The International Court of Justice (ICJ) wishes to draw the attention of the media and the public to the fact that the Award in the South China Sea Arbitration (The Republic of the Philippines v. The People’s Republic of China) was issued by an Arbitral Tribunal acting with the secretarial assistance of the Permanent Court of Arbitration (PCA). The relevant information can be found on the PCA’s website (www.pca-cpa.org). The ICJ, which is a totally distinct institution, has had no involvement in the above mentioned case and, for that reason, there is no information about it on the ICJ’s website. The United Nations has made it clear that it had nothing to do with the Hague-based Permanent Court of Arbitration (PCA). A tribunal, which was established and registered at the PCA, issued an ill-founded award on Tuesday through the abuse of law on the arbitration case unilaterally initiated by the Philippines against China in 2013. In a post on its official Twitter-like Sina Weibo account on Wednesday, the United Nations pointed out that the International Court of Justice (ICJ) is the UN’s principal judicial organ, which was set up in June 1945 in accordance with the Charter of the United Nations. The post added that the ICJ is a totally distinct institution from the PCA and it had no involvement in the above mentioned case. In fact, the PCA in The Hague just happens to be neighbors with the ICJ, as both are located in the Peace Palace in The Hague in the Netherlands. Of the six major organs of the United Nations, the ICJ is the only one located outside New York City in the United States, the headquarters of the United Nations. The International Court of Justice has taken the unusual step of distancing itself from the Permanent Court of Arbitration, which ruled on the arbitration case unilaterally initiated by the Philippines against China in 2013, concerning the South China Sea disputes. 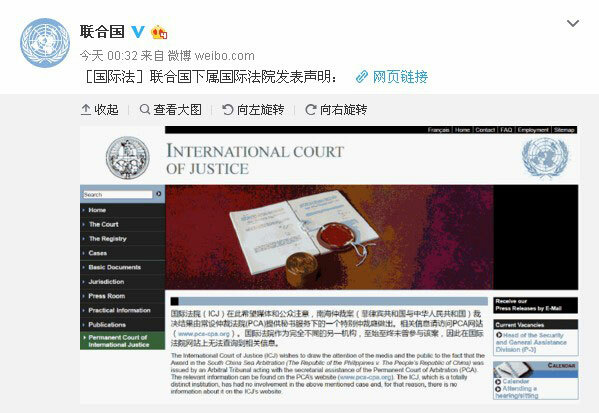 In a statement in both English and Chinese on its website the IJC said it wished to draw the attention of the media and the public to the fact that the award was issued by an Arbitral Tribunal acting with the secretarial assistance of the Permanent Court of Arbitration, and that no further information would be found on its website. A former judge of the United Nations’ International Court of Justice, Abdul G. Koroma, says the only link between the two bodies is their base in the Peace Palace in The Hague. The former judge added the purpose of any arbitral settlement is to bring peaceful resolution of a conflict, rather than for any political motives. The International Court of Justice (ICJ) rushed to dispel the myth that it was involved in the South China Sea arbitration case filed by the Philippines, just as the United Nations made a similar online clarification. The ICJ, the UN”s principal organ of justice, issued a notice on its website that it is “a totally distinct institution” from the Permanent Court of Arbitration (PCA), which offered secretarial assistance to the Arbitral Tribunal that ruled on the case. The ICJ said it “has had no involvement in” that case. It pointed out that it has posted no information about the case on its website and said that anyone seeking such information must refer to the PCA’s website. On Wednesday, the UN said on its Sina Weibo micro blog that it “has nothing to do with” the PCA, though the ICJ is located in the Peace Palace in The Hague, as is the PCA. Foreign Ministry spokesman Lu Kang said on Thursday that these clarifications “show there is no legitimacy or representativeness to how the temporary tribunal was composed and operated, as well as show that its so-called ruling has no authority or credibility at all, and is totally invalid and not binding. “It seems that this also is the reason why after this illegal ruling came out, only three or four countries wishfully claimed that it was ‘legally binding’,” Lu said. Zhao Jianwen, a researcher at the Institute of International Law of the Chinese Academy of Social Sciences, said the reason the UN and the ICJ made such statements is that they “want to stay clear” of the ruling in the arbitration case, which, as Zhao said quoting Vice-Foreign Minister Liu Zhenmin, might become “a notorious case”. Zhao said “All of the tribunal’s expenses were paid by the Philippines, including its arbitrators’ wages, and these experts’ opinions are not neutral”. Also, the tribunal has no substantive relation with the PCA, he added. The only relation between them is that the PCA offered secretarial service to the tribunal and the tribunal was held in the PCA’s hall, Zhao explained. Zhao pointed out that the Arbitral Tribunal was a temporary one set up specially for proceeding the South China Sea case, and its work was “virtually done” once the ruling was issued. resources there, marked an end to the farce disguised as law. If Tokyo launches an arbitration case over gas and oil fields in the East China Sea, it faces a high chance of losing.